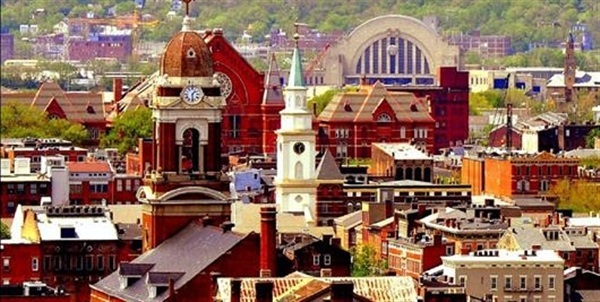 Early revitalization efforts in Over-the-Rhine began as early as the 1980s. Revitalization efforts as we know them today received the most significant boost in the early 2000s with the formation of the Cincinnati Center City Development Corporation (3CDC) by the public, corporate and private investment leaders in Cincinnati, and increased private investments by Urban Sites, The Model Group, Eagle Realty Group, and other developers. Community partners, including the OTR Chamber, began addressing with significant resources the neighborhood’s biggest challenges, which included shoring up vacant buildings and lots, numerous problem properties, and crime. 3CDC, Urban Sites, Model Group and other property developers acquired and secured hundreds of the most deteriorated buildings and vacant lots, and redeveloped the buildings for a variety of mixed uses, including residential, retail storefronts, and office. The 2002 Over-the-Rhine Comprehensive Plan, which covers strategies on housing, economic development, safe and cleanliness, transportation, and quality of life, has acted as a guide for much of the development taking place today.